We spent two weeks in the city, and never ran out of things to do in Essaouira. In fact, we kept extending our stay in the Moroccan coastal town. Read on to see our list of the best things to do in Essaouira. 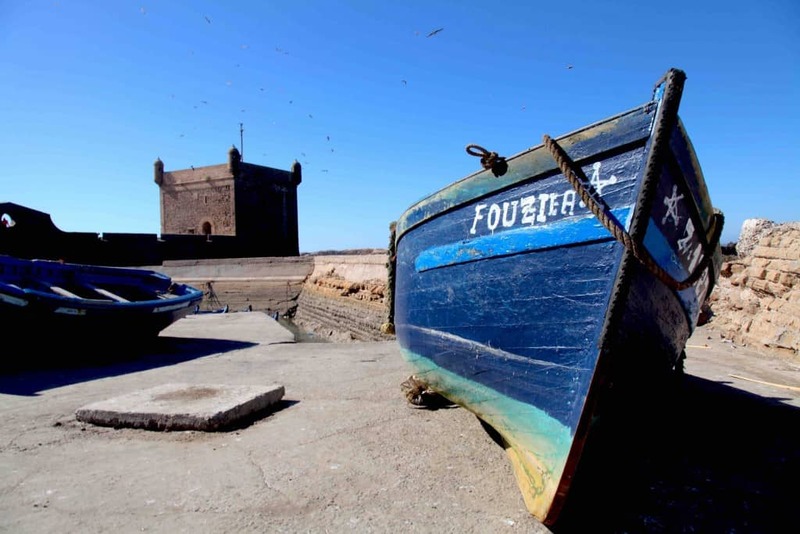 Essaouira is perched on a rocky outcrop with a medina that appears at any moment to be beaten back by the sea. Yet, after centuries of waves it stands defiantly. The city was meant to exist, and the web of winding narrow streets of white and blue have always been. 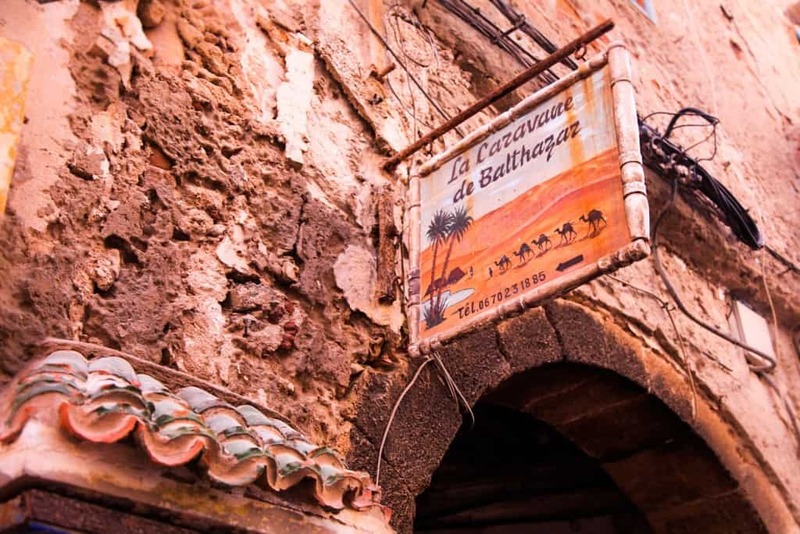 There is no shortage of things to do in Essaouira. With a history of contrasting influences from African, Arab, Spanish, French, Roman, and Berber it is distinctly its own. A laid-back hippy vibe permeates, a buzzing medina remains relevant to locals and tourists, while access to modern comforts are readily available. Adding Essaouira to any Moroccan trip itinerary almost appears to be a necessity. While traveling we met both Moroccans and travelers who referred to the charms of the wind-swept city. So we hopped on the first bus out of Marrakesh to Essaouira. That wind is a distinguishing characteristic of Essaouira, and it is nearly constant. The city is known as the “wind city of Africa,” and is famous for the numerous kite-surfers seen off the coast. 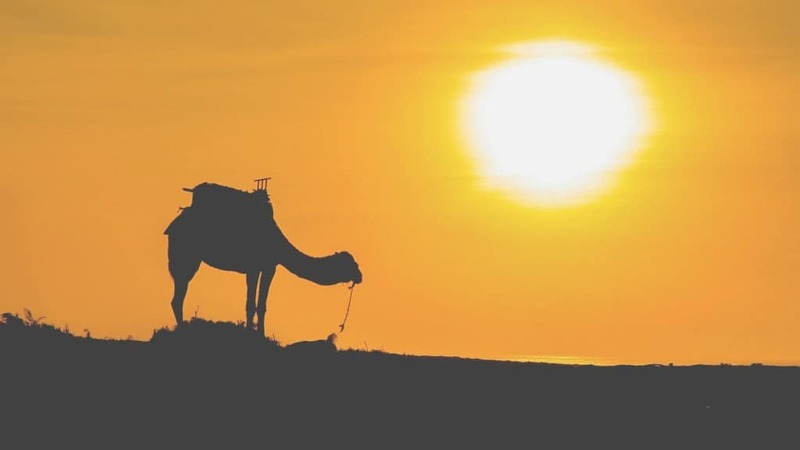 It blows in cooler temperatures pushing away the Moroccan heat and sand keeping away the sun-chasers who instead head for the resorts of Agadir, giving Essaouira only more atmosphere. Essaouira has arguably one of the most attractive medinas in Morocco. It has been listed as a UNESCO World Heritage Site and rightfully so. The medina is also one of the easiest to navigate, unlike Fez or Marrakesh, there is not such certainty that you will get lost. The medina is protected from the sea by the impressive Skala, a military defensive wall designed by a French architect in the mid 18th century. The streets are narrow and have beautiful details hidden away in them, much like the rest of Morocco. The city is also very manageable and not difficult to navigate, you do not run the risk of getting lost like the major cities. 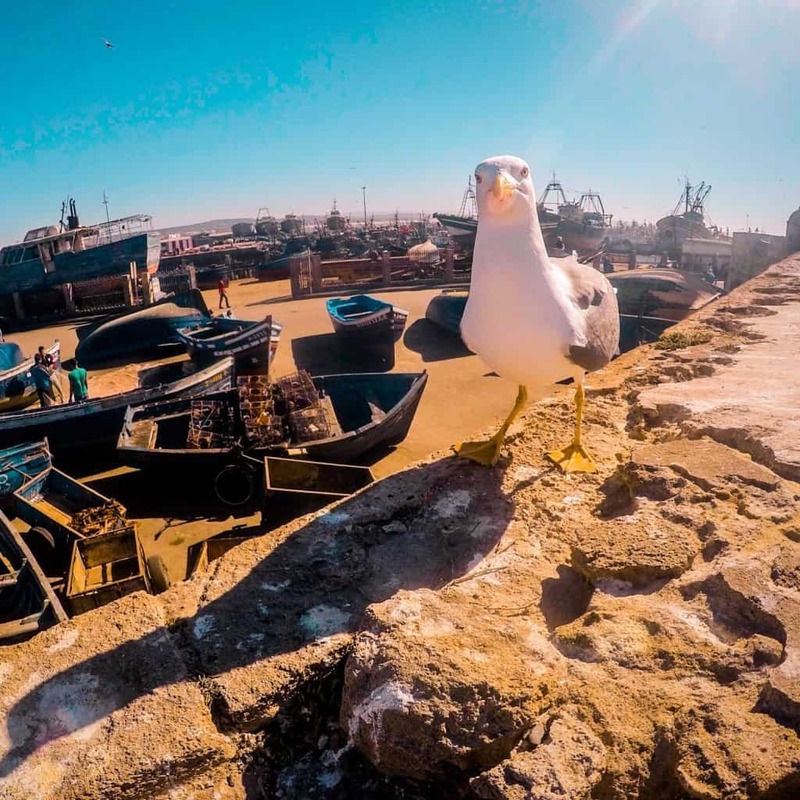 We found wandering around the streets to be one of our favorite things to do in Essaouira and spent countless hours doing so. Countless shops played the local Gnawa music and the air is a mixture of hash, spices, aged buildings, and salt air creating a unique ambiance. Even the touts, who still exist, seem to have adopted the laid-back approach to things unlike the major cities of Marrakesh and Fez. The seagulls are a constant sight in the city. It is hard to go anywhere and not see or hear the gulls screaming overhead. There are numerous places around the city for a great viewpoint. We suggest the Skala, Le Simoun, and “The Port Tower.” Be warned that many birds overhead mean plenty of bird poop bombs being dropped on the unsuspecting, I took one right to the head. This is definitely one of our favorite things to do in Essaouira. Wandering through the port is a must when visiting. On good weather days, the port is bustling and is anything, but a tourist attraction. 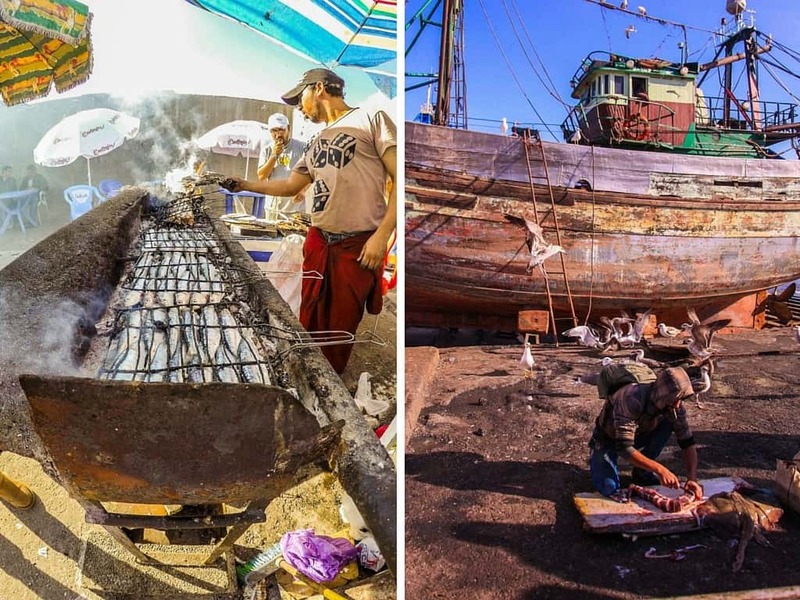 The boats bring in large amounts of fresh fish available for purchase. If you know how to pick a fresh fish you can even buy from the fisherman, and then walk over to the conveniently located cooks. There is also a square of fish stalls toting the local catch but beware on the windiest of days the boats don’t go out, so you could be getting several days old seafood. We opted to dine at several good restaurants we trusted to only serve the days catch. Legend and lore talk of Jimi Hendrix visiting the town and receiving some sort of inspiration. It’s pretty much all myth. However, Essaouira is the center for Gnawa music. Gnawa music is a trance, mystical like music. It can be heard throughout the city being played from boom-boxes, to live bands. The style of music has influenced all sorts of popular music, and a number of famous musicians have collaborated with Gnawa musicians such as Jimmy Page, and Brian Jones. The genre still influences popular music to this day; check out a modern artist of Gnawa below. 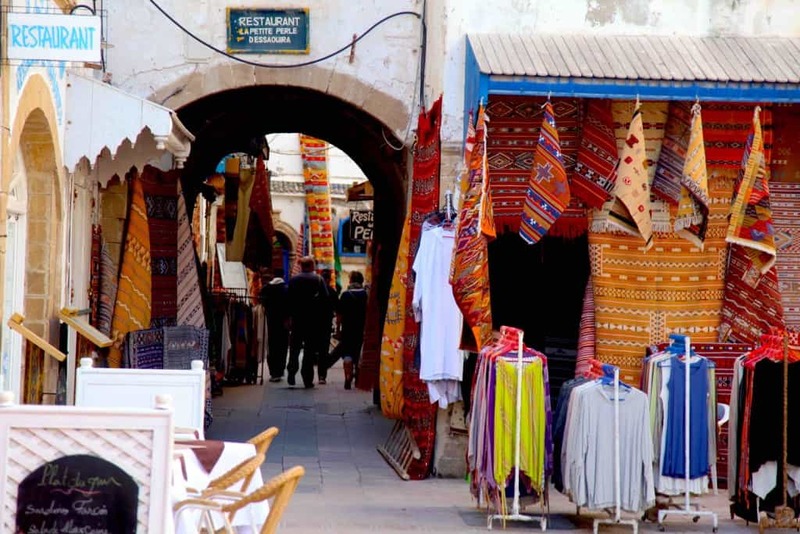 The souks of Essaouira are much smaller in comparison to the mazes you can find in other tourist hubs but offer almost all of the same merchandise. The shop-keeps have adapted the attitude of the city and are nowhere near as aggressive as the rest of Morocco. It makes a good entry point for novice bargainers. This may be only for the truly adventurous, but if you ever been thinking about picking up Kiteboarding Essaouira might be the place. It is ideal for kiteboarding with great wind conditions, a long beach, and a relatively calm bay. At the end of the beach, various touts and vendors offer rides on boats, ATVs, horses, and even camels. One of Essaouira’s strongest draws is its offering of food. We spent much of our time in Essaouira sampling all that the city had to offer. We had delicious seafood, tasty falafel, and even Italian. Here are some of the places we recommend. Triskala Cafe: Our first meal out in Essaouira and it was a great surprise. They have a menu that changes daily depending on what is fresh and available and almost always have a great vegetarian option. Wonderful food. The restaurant itself is nestled down on the bottom floor of a building. Movie posters are everywhere, as well as old vinyl albums, and eclectic decor. They have a couple lofted tables where you can lounge on comfy cushions during your meal, perfect spot to kick back and enjoy the vibe of the city. Gusto Italia: Sadly, we were not able to try Gusto Italia, because they were closed for winter during our visit, but the reviews are consistently great. So, we’ll go with what they say. Vagues Bleues: Very small restaurant with only a handful of small tables and run by local man. The food is delicious, though! Perfect place for lunch, and cheap. 45dh gets you a few vegetable appetizers, two small juices, and an entree. Loft: Great food! We had delicious seafood here and would recommend the same. It has a nice hip decor, good music, and a good setting for an evening dinner. La Fromagerie: We did not visit here, but have heard wonderful things about it. All homemade cheeses made from the owner’s livestock on site, fresh would be a good description. Please note that a taxi is required to visit La Fromagerie, but if you contact the owner at [email protected] and he can help you arrange a taxi. Le Simoun: Le Simoun offers some of the best views of the harbor. It’s five stories high and has windows looking out over the fortified walls. Also, check out the toilet ;). Getting to Essaouira is super easy from Marrakesh or Agadir. Six buses run daily from Marrakesh, the cost is 70dh one way. We recommend going with Supratours, the state-run company. Their office is adjacent to the train station and any taxi driver will know Supratours. The bus is three hours long and runs at 8:30, 9:00 (comfort bus 100dh), 10:30, 14:30, 17:00, and 19:00. Supratour website here. Essaouira is one of the places where we felt at home in a foreign country. Where have you found your home away from home?